I am not able to come up with the right words to acknowledge the life of one special, silly girl. 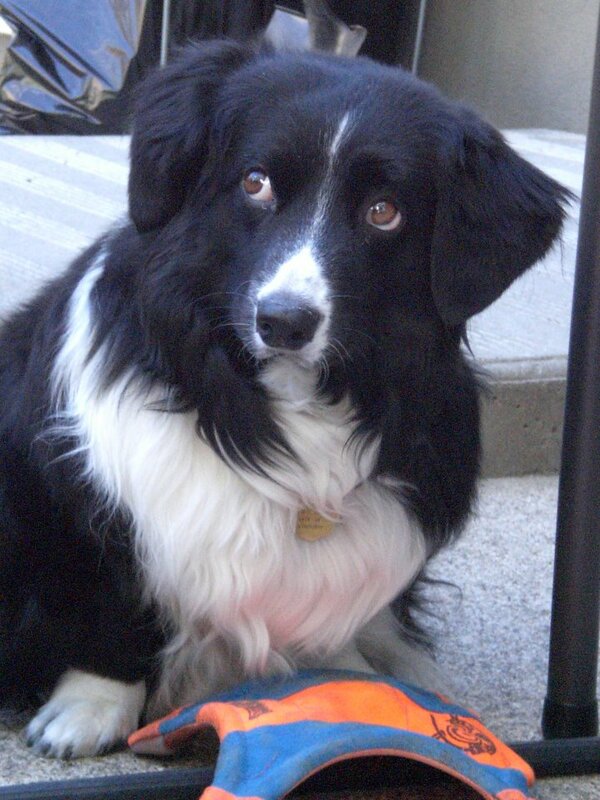 Lucy, or Lu Lu, was a funny, nutty little dog whom I feel so lucky to have met. Certainly, I have never seen her match. 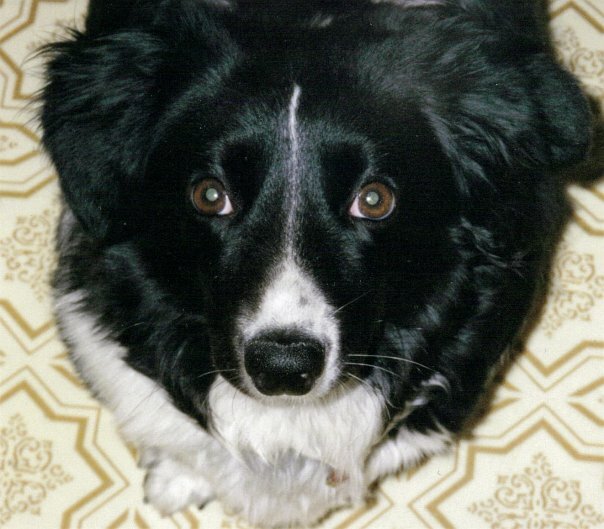 A border collie/corgi mix, Lu Lu Bug was the best – and the worst – of both genealogies. She was all spirit and a mile wide. Lucy had the good fortune to live with the parents of my best friend. I wish I’d had a camera back then as her puppy years were some of the most ridiculous I have ever witnessed. From the beginning she was trouble, but it was impossible to scold. Energetic, opinionated, and OCD to the hilt, she had her family cracking up at every turn. Though I have not seen her for years, the stories my friend told me through email and in conversation always made me smile. Lucy’s tempestuous relationship with Gandalf, a gorgeous long-haired grey tabby with a Napoleon complex, was hilarious. They fit the precise stereotype of cat vs. dog. They were a viral video waiting to happen. No matter how much time we have with our beloved friends, it is never enough. Lucy, despite her wilful nature, did not have it easy from the start. Health was never to be on her side. Not that you’d guess it by the way she encountered each day, always with a kick, always with a punch. Lu Lu held nothing back. It was with a tremendous sadness that her family said goodbye after ten entertaining and love-filled years. I learned of the news with sorrow all my own. Shiva never got to meet Lucy and I am sure that was for the best. Shiva is too unfettered and Lucy needed to be the boss; the two would not have been friends. I knew her before I knew my maniac mutt. Her adventures in house-training and loose-leash walking taught me a lot. It was because of Lucy that I was attracted to the wildness I saw in Shiva’s eyes that rainy Saturday. It was because of Lucy I knew a puppy was too much for me to handle. If not for her, I may have brought home a baby border collie of my own. Or maybe I wouldn’t have brought home a dog at all. She was an unusual girl, our Lu Lu. I wish I’d gotten to know her better. I wish I’d gotten to see her again. She will not be forgotten. She was beautiful! I’m so sorry and my condolences to the family too. She was so lovely, sending you all a hug!! Lucy looks like such a sweetheart. My sympathies to you and her family. What a beautiful tribute. And tour words are so true…it’s never long enough. My sympathies to Lucy’s family, and to you. Aw, my condolences to you and to LuLu’s family. She was a beauty, for sure. Your tribute to her is heartwarming and lovely.